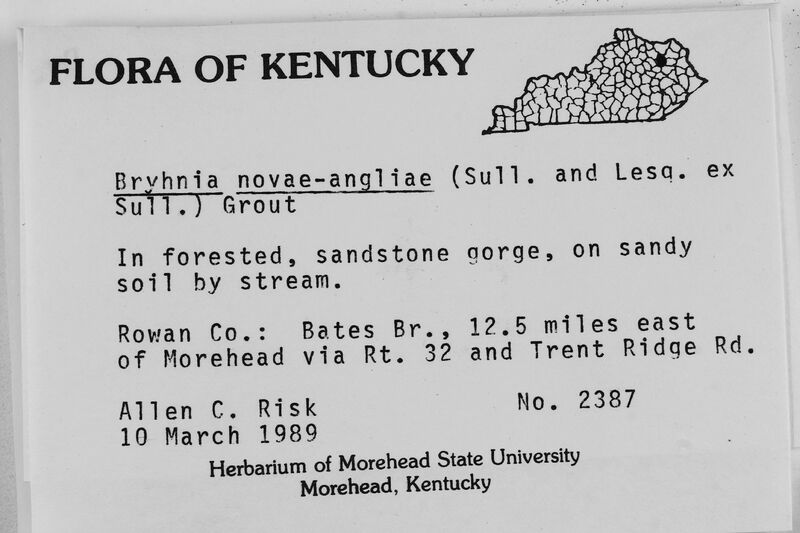 Locality: United States, Kentucky, Rowan, Bates Br., 12.5 miles east, of Horehead via Rt. 32 and Trent Ridge Rd. Substrate: on sandy soil by stream.